I wonder why they call a strain of guppies “Old Fashion”? I mean, is it because they have been around for too long, looked out of fashion when compared to the latest of strains that has appeared in the guppy world and as such be termed as “old”? I try to make sense of the term Old Fashion Guppies and I feel that these beauties still have a place in the guppy world and are much prized all over the world. 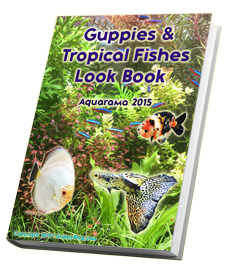 Call them old fashion or New Age guppies, they are still guppies that pack a punch in terms of coloration and vivacity. The picture that I have posted above is of a pair of Old Fashion Albino Mosaic guppies. The picture above was taken at the 2008 guppy competition. Don’t gag on the name as these guppies do contain within themselves a myriad of genes and to produce these guppies from scratch would clearly need an individual with patience of steel. I really am not too sure why the Old fashion guppies are named as such but from reading various sources of guppy information, I found out that they are believed to be of Southeast Asian and Japanese origin. Most believe that these guppies are called “Old Fashion” because they have a body pattern which is more typical of the wild guppy than todays lines. However, according to one breeder, this guppy strain have tail patterns that tend to stay within the green, red and black colors. I believe however, that the “Old Fashion” guppies is distinctive than the rest of the strains not due to their tail patterns but rather because of their body patterns. It is in their body patterns that you see close resemblance to the wild type. The wild type guppies have so called “patches” of colour and some of these patches show more sheen than the other patches. These “irregular” shaped patches is distinctive in the wild as well as the delta tailed Old Fashioned guppies. 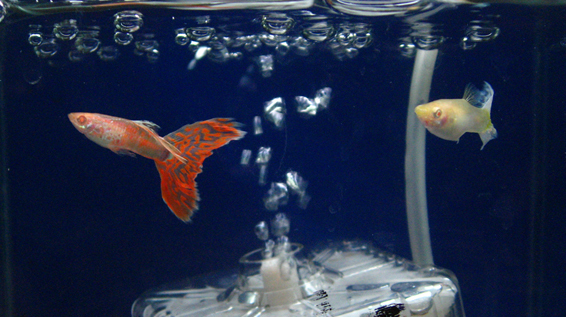 Some guppy enthusiasts believe that the term “Old-Fashion” is a name given by Japanese breeders and they believe that the strain has direct relations to the Viennese Emerald Green Double sword and the more typical pattern is closer to the wild guppy in its polychromatic variability than most modern strains. The term Polychromatic is used to described “light that exhibits more than one color “and when we use the term in relation to guppies, I hold the view that it used to relate to the guppies body that contains more than one color. This is especially observed in the wild color types and the Old Fashion guppies. It is interesting to note also that the old-fashioned gene is strongly Y-linked. You could then in theory develop all kinds of Guppy strains with the Old Fashion gene when you take into account that the tail color can be X and Y linked. To me, the Old Fashion guppy is an interesting strain and is a strain that has a huge potential for development. If you are someone willing to take the challenge, I am always interested to interview you on your experience keeping and breeding the Old Fashion guppy. could you tell the ower of this picture?i live in VN,there is a person,he post this picture on a wedside and he told that this picture is his own. “just an old fashioned love song”…. hope this helps. 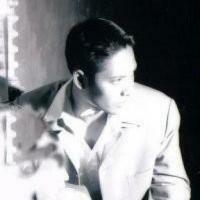 Hi Tung, I am very very sure that I am the owner of the pic. I took the pic from a Guppy competition here in Singapore and I can tell you the date and time of when the picture was taken. It was taken using my Ixus 800 camera. Thanks for letting me know. If it wasn’t my picture, I would try to credit the person who owns the pic.